The summer Opal and her father, the preacher, move to Naomi, Florida, Opal goes into the Winn-Dixie supermarket--and comes out with a dog. A big, ugly, suffering dog with a sterling sense of humor. A dog she dubs Winn-Dixie. 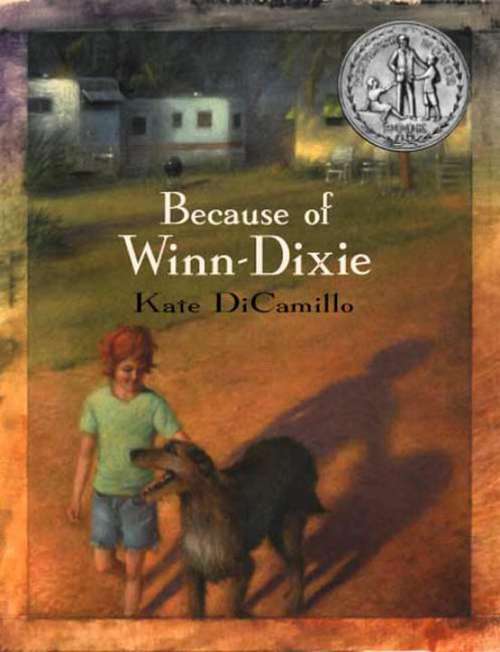 Because of Winn-Dixie, the preacher tells Opal ten things about her absent mother, one for each year Opal has been alive. Winn-Dixie is better at making friends than anyone Opal has ever known, and together they meet the local librarian, Miss Franny Block, who once fought off a bear with a copy of WAR AND PEACE. They meet Gloria Dump, who is nearly blind but sees with her heart, and Otis, an ex-con who sets the animals in his pet shop loose after hours, then lulls them with his guitar.Opal spends all that sweet summer collecting stories about her new friends and thinking about her mother. But because of Winn-Dixie or perhaps because she has grown, Opal learns to let go, just a little, and that friendship--and forgiveness--can sneak up on you like a sudden summer storm.